Sealing the pits and fissures is recognized and acknowledged as a powerful tool in preventive dentistry. Though very basic in terms of technique, the universal resin-based sealants continue to pose a challenge because of their technique-sensitive nature of placement. Issues with long-term sealant retention can exasperate even the most diligent practitioner. This chapter discusses this simple technique to show how meticulous and accurate execution of the procedure can improve long-term success outcomes. The use of glass ionomer sealants is explained as well. 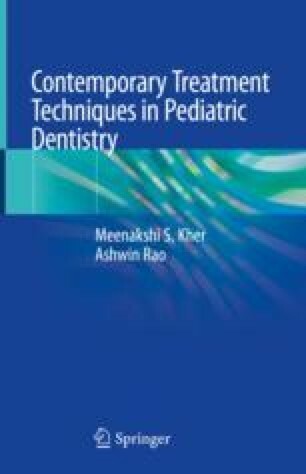 High-resolution intraoral clinical photographs of the step-by-step technique in placing a sealant, useful information on assessing sealants on follow-up, and clinical tips make this chapter very handy in any dental practice that treats children. Ahovuo-Saloranta A, Forss H, Walsh T, Nordblad A, Mäkelä M, Worthington HV. Pit and fissure sealants for preventing dental decay in permanent teeth. Cochrane Database Syst Rev. 2017;(7):CD001830. https://doi.org/10.1002/14651858.CD001830.pub5.